I’m still trying to remember to film, take my camera out and take photos for What I Ate Wednesday so please excuse the poor quality of some of the things I have captured today. Apologies, this is the same breakfast as I had last week and I couldn’t take a nice picture again!! I will get better at this, I promise! 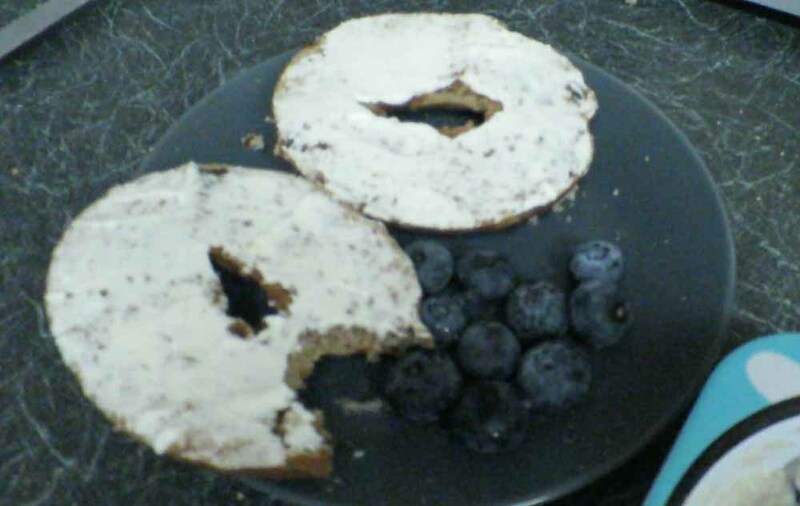 It was a Tesco version of the Cinnamon and Raisin Bagel today with Philadelphia cream cheese and fresh blueberries also from Tesco. I like their Atlantic blueberries as they are consistently nice. My friend made a Korean style chicken dish today, which is similar to Khao Mun Gai. 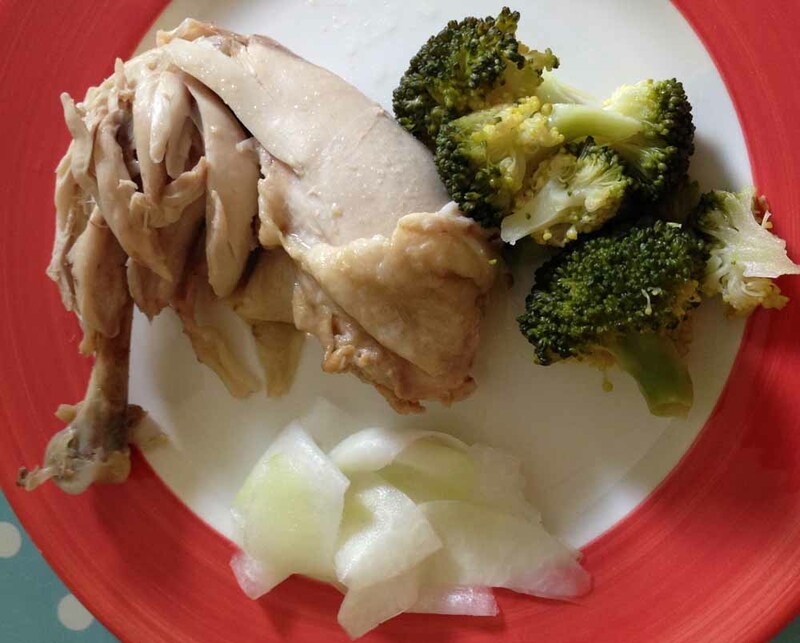 It is boiled chicken with garlic and ginger and served with a sticky egg rice, broccoli and pickled radish. My friend told me that in Korea the chicken is eaten first with vegetables and the rice is eaten afterwards. I had a fairly healthy dinner apart from the olive oil, balsamic vinegar and crispy bacon. 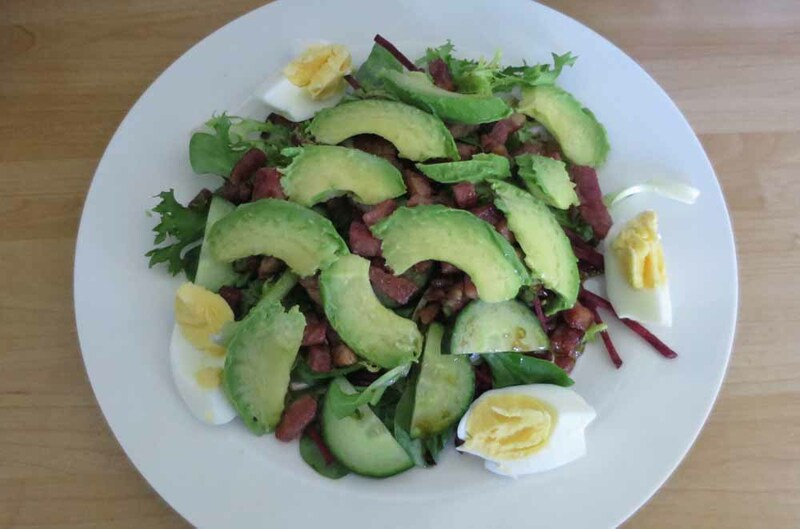 The avocado, boiled egg and bistro leaves with beetroot were the less naughty part of this dinner. With the heatwave were are currently experiencing, I didn’t fancy anything too heavy. I was so hungry before lunch so I had a large sausage roll from the local bakery. 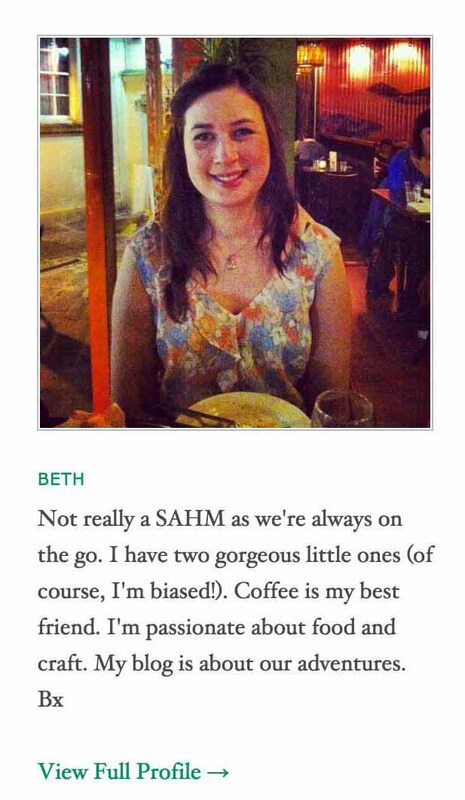 I really should be eating well as I am going on holiday this month and will need to wear a swim suit. Argh! !